Rory McIlroy was frustrated with his finish as Banbridge’s Richard Kilpatrick grabbed a share of the halfway lead in the AIB Irish Amateur Open at Royal Dublin. Kilpatrick fired a under up par 71 to lead on one over par 145 with US Amateur champion Richie Ramsay and Welshman Rhys Enoch on one over par. But McIlroy drove into the hazard at the 18th and ran up a bogey five for a 74 that left him two off the pace entering the final 36 holes today. 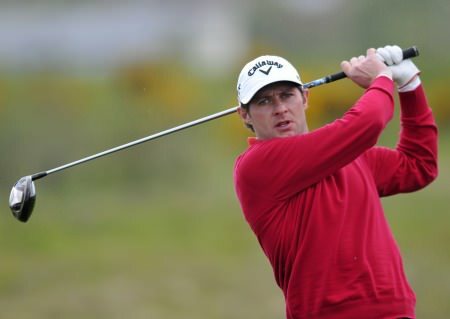 Scot Ramsay also drove into the hazard at the 18th and bogeyed the hole to card a level par 72 as Enoch posted a 73 on another day of high scoring at the revamped Dollymount links. The Island’s Robert McCarthy sits alone in fourth place on two over par after a 72 with McIlroy in a share of fifth place with Limerick's Pat Murray and the Finn Joonas Granberg on three over par. Joint leader Ramsay, the winner of this title in 2005, was also disappointed with his score after getting to three under par for his round with seven holes to play. "I could have opened up a slight lead but I didn't finish it off,” said Ramsay. “By my standards that is not good enough. I am not out there to be content." Joint leader Kilpatrick spent the winter working at Lake Nona in Florida and admitted that he has learnt a lot from playing practice rounds with residents such as Ben Curtis, Graeme McDowell, Trevor Immelman and Maarten Lafeber. "I get to play and practice as much as I want and I've had quite a few rounds with the boys," said Kilpatrick, who had three birdies and two bogeys. "You learn that they are not as impressive as you think they are - until you see their short games, which are amazing."